Side 1 printed with 1 PMS color using light coverage. 100lb White Linen stock uncoated. B1 brochure slit on left pocket, with H2 business card slits on right pocket. 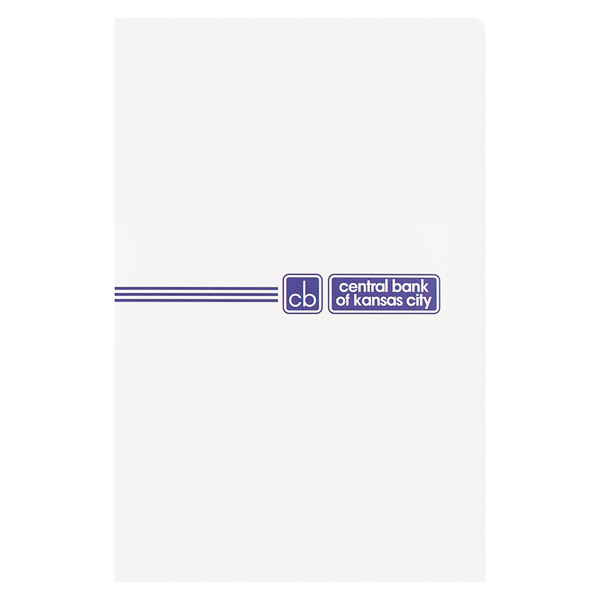 A rectangular box contains the Central Bank of Kansas City's full name, while a square box acts as a monogram version of the logo. The boxes have round corners to give the design a soft, inviting feel. Three blue lines connect to the back cover, where the FDIC logo certifies the bank's accreditations. Its no-nonsense blue and white color branding helps establish trust with customers. Black panels capture the sense of power associated with financial wealth. The thick linen stock's texture contrasts the satiny smooth logo. 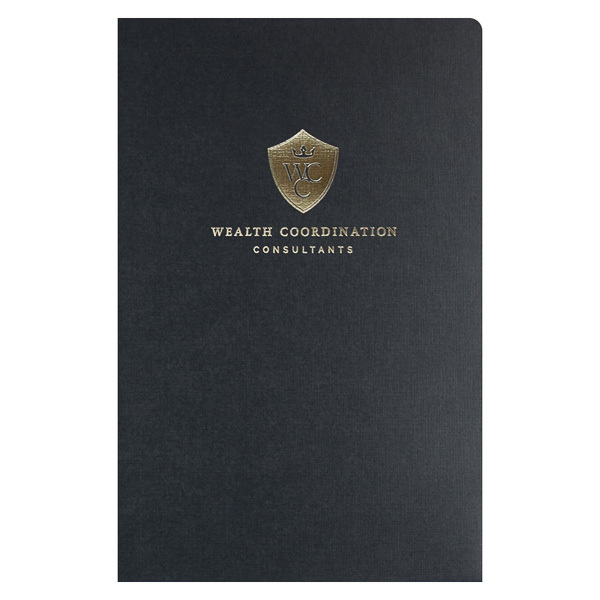 Stamped in metallic gold, the logo has plenty of glitz and glam; its reflectivity even resembles shiny gold coins, making it the perfect choice for Wealth Coordination Consultants. Four-color process printed on Side 1 of 12pt C1S Semi-Gloss stock. Coated with Aqueous Gloss. D1 CD/DVD slits on right pocket. Home improvement lender Renovate First glamorizes its work with vivid cover photography. The main image's light, warm colors and smiling subjects portray home renovations as enjoyable, while smaller images above depict related tools. A collage of blue and gray squares mimics the ceramic of a sink's backsplash. In the middle, the company logo ties all the images together. Blue interior pockets resemble the color used in construction blueprints, reinforcing Renovate First's brand identity while recipients review the contents. CD/DVD slits on the right pocket hold digital media next to the loan papers for a high-tech spin on traditional documents. 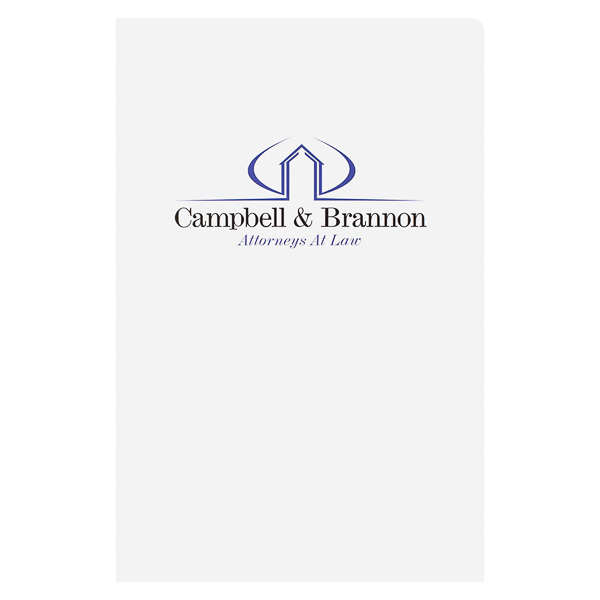 Campbell & Brannon keeps this design classy with a cool color palette fitting for a law firm. White panels give off a crisp, clean look that implies organization and attention to detail, while the company name in a black serif typeface looks traditional yet commanding. Soft blue accents draw attention to the logo, which is shaped like a courthouse. 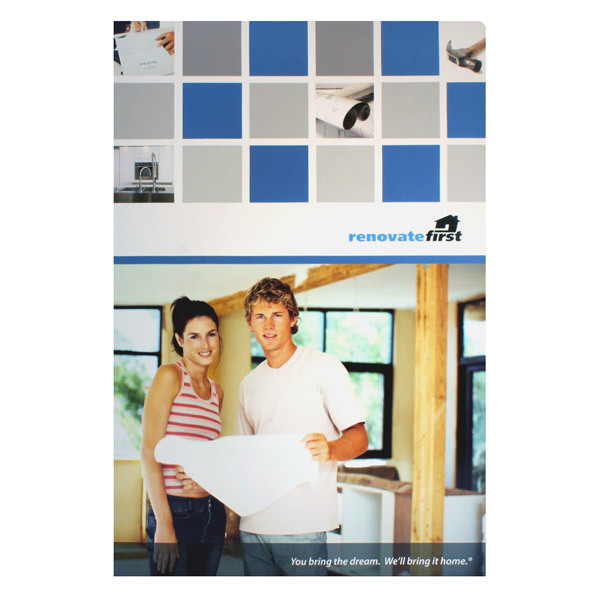 This product showcases your 8 1/2" x 14" contracts, closing papers, or other legal documents. Round corners give both panels a smooth, professional look that sets this design apart and won't bend or wrinkle. The two interior pockets are cut in a v-split style, which gives them greater flexibility and helps the product lay flat when closed. Both pockets offer an imprint area that can be customized with your brand name, logo, images, or original text. Dimension Open: 19" x 14-1/2"